The backbone of every online gambling site is the software it uses to power its catalogue of games. In recent years Betfair has powered its network with solutions from Playtech, a business relationship that it intends to retain going forward. Betfair has just announced that it will be continuing to work with well known software developer, Playtech in the coming years. The internet gaming company recently renewed its contract with the developer while also expanding on the number of services it will hire the company to provide. Betfair will now be counting on Playtech to provide not only casino software, but also new bingo software and an option to take advantage of the developer's existing online poker network. The new terms in the contract between the two businesses will allow Betfair to offer a much larger range of betting games through both its desktop and mobile site versions. While no service expansions have been announced as of yet, Betfair and Playtech have confirmed that they will work together to release a new, licensed poker product in Spain in the near future. Ian Chuter, Betfair's Group Operations Director, told press that his company "has built a strong relationship with Playtech over a number of years" and that they were still "the logical choice for providing us with what we now need." Hinting at a service expansion, Chuter added that a wider contract with Playtech will enable Betfair to "[provide] customers with a high quality one-stop shop for all their betting needs." bet365 are making sure that you’ll never be bored by a blank score sheet again, with their Bore Draw Money Back offer. This great offer runs all year round and is available on ANY match, meaning you don’t have to be bored by a blank score sheet again. With bet365’s Bore Draw Money Back offer, a goalless draw may not be the worst result. Popular online bookkeeper, Betfair, has just announced new expansions to its service line-up that should help to keep the site relevant for serious punters. Live sporting events from across Europe have been added to the internet sportsbook as part of a substantial platform update that will make Betfair a more attractive option for betting enthusiasts. The new live video options now appearing on Betfair are the result of the company’s recent agreement signing with The Sportsman Media Group GmbH, a sports rights and marketing agency. Betfair members receive benefits from the deal that include more wager-ready matches across Europe and an increase in live, streaming events. New videos will be available from top games across the European Handball Federation, the Confederation of European Valleyball, football from Spain’s La Liga, Germany’s Bundesliga and more. The Sportsman Media Group specializes in live stream support and brings years of experience in the industry to Betfair in order to make the site a great choice for punters that want to enjoy plenty of variety with their betting. Betfair’s streaming video services add to their existing roster to make their bookkeeping coverage even more extensive than before. Their working relationship with The Sportsman Media Group is great, not only for the two companies involved in the new agreement, but also for members of the site. 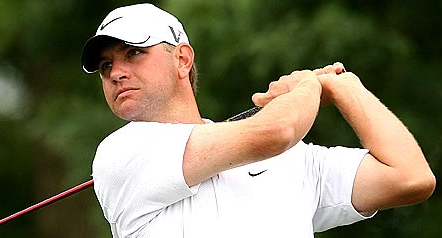 Congratulations to Lucas Glover on winning the 2009 US Open Golf Championship from Bethpage Black Course in New York. Lucas Glover said he hoped he would not "downgrade" the US Open title after his unlikely victory elevated him alongside the sport's most illustrious stars. "I dreamed about it as a kid and pulled it off," said Glover, who came into the tournament ranked 71st in the world. "It's an honour to be on the trophy with names such as Jack Nicklaus, Arnold Palmer and Tiger Woods. I hope I don't downgrade it or anything." Glover fought off a late charge from Phil Mickelson to win his first major. 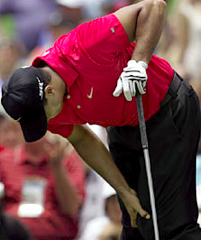 Pre event favorite, Tiger Woods, finished in sixth on level par after a great last round of 69. The 2009 World Snooker Championships are starting from the Crucible Theatre in Sheffield. It is no surpirse that the tournament favourite is last years champion, Ronnie O’Sullivan. He is currently at 9/4 odds with BetFred. The 2009 Snooker Championships are sponsored by BetFred. BetFred are offing a CUSHION THE BLOW free bet offer. Place a bet on any player from this market and if your selection is knocked out in the first round of the tournament, we'll refund your stake as a free bet to use on any other World Snooker Championship market. Be sure to check out our dedicated 2009 World Snooker Betting page here at Findabet. 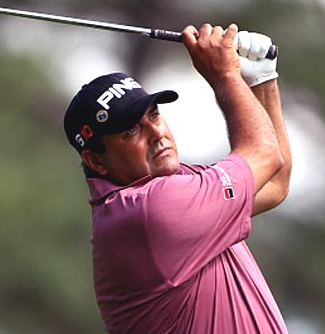 Day three of the 2009 US Masters finished with Argentina’s Angel Cabrera and America’s Kenny Perry both sharing the lead at eleven under par. Chad Campbell is in second place at nine under par with Jim Furyk in third place at eith under par. 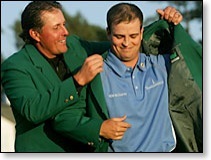 Be sure to check out our dedicated page to the 2009 US Masters Betting. Cabrera shot a three-under 69 and Perry a 70, with Chad Campbell leading the chasing pack on nine under. Jim Furyk and Steve Stricker carded 68s, with Ian Poulter and Lee Westwood the leading Europeans on four under. Padraig Harrington and Tiger Woods had problems and look unlikely to figure, while Sergio Garcia carded a 75. Shingo Katayama of Japan, bidding to become the first Asian to win a men's major, was tied with South African Rory Sabbatini and American Todd Hamilton on six under. Tiger Woods (70) and Phil Mickelson (71), numbers one and two in the world, will be disappointed not to have made up more ground as they finished four under in joint 10th. "I think for me to have a chance it will take a round of 64 or 65 [on Sunday]," said Mickelson. "But I think it's out there. "A lot of things happen on Sunday at Augusta, and I would never put it past happening again. At this golf course funny things can happen and if you get momentum on your side and you're making some birdies, you can make a lot of them." 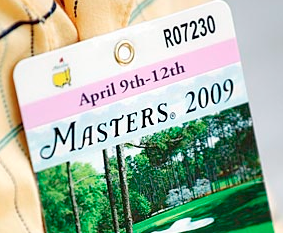 Day two of the 2009 US Masters saw a slight change in the weather with gusting winds and overcast skies. Some great rounds were still carded and we see Chad Campbell and Kenny Perry sharing the lead on nine under par. Kenny Perry shot a bogey-free five-under-par 67 to join Chad Campbell at the top of the Masters leaderboard on nine under after two rounds at Augusta. Overnight leader Campbell fired a two-under-par 70 while Angel Cabrera carded a 68 to sit third on eight under. Tiger Woods had another low-key round and is two under after a level-par 72. Northern Ireland teenager Rory McIlroy dropped five shots in the last three holes but avoided disqualification for kicking sand in a bunker on the 18th. Woods, who returned an opening-round 70 on Thursday, had birdies on holes 6 and 8 and bogeys on 7 and 9. After birdying 15 he bogeyed 18 for the second day running. "There were a lot of wasted opportunities out there," he said. "I hit some good putts today, better than yesterday for sure, but I still didn't make much. "Obviously I need to play a bit better over the weekend than I have been. I need to make few more putts and hopefully get it going." On each of the three previous occasions Woods has started a Masters by shooting 70, he has gone on to claim victory. But the 33-year-old, competing in his first major since knee surgery, had before never failed to score in the 60s on Friday having shot a 70 on Thursday. Day One of the 2009 US Masters saw Chad Cambell lead the masters after a first round 65. Tiger Woods is 5 shots off the lead after carding a two under par 70 on the first day at the Augusta National Golf Course. Defending champion Trevor Immelman had three straight birdies on the back nine on his way to a one-under-par 71. I have been to the Crucible in Sheffield for the World Snooker Championships for the last few years. Today, February 14th 2009 is the day when the online and ticket sales open for the event in Sheffield. I phoned the box office around 1000 as the Internet ticket facility was not available and I was shocked to find that most of the tickets had already sold from the pre-allocation. There was nothing at all left to see Ronnie the Rocket O’Sullivan. I ended up with a ticket for match 20 & 24 as well as a ticket for the fist session of Semi Final 2. Looking forward to the championships to start now. The summer usually means a few months of slow action for punters and bookkeepers alike but this year’s British Open has caused unusually high attention and bets within the industry. The popularity of golf and the absence of Tiger Woods, usually the annual winner of the event have lead to enormous UK and worldwide bet placements. Although the British Open is a regular, yearly event in the golf world this summer has been atypical for the large amount of interest invested in the events. Tiger Woods’ knee injury has meant a recovery time which didn’t allow the golf star to compete in the tournament and with his absence, bets exploded accordingly. Woods presence in the British Open is historically overwhelming and betters can’t expect anything but even money due to his unparalleled skills. This July however, golfers such as Sergio Garcia were receiving 10:1 odds from premier sports betting services like Bodog. Summer typically means a dry spell for punters and bookies with only baseball, tennis, boxing matches and golf available for the most part. The majority of major league sports are in the off season but a rare occurrence in golf has been enough to spark gambler’s interest and keep businesses booming for at least this year. After repeated displays of athleticism throughout his career, Michael Chang was inducted into the International Tennis Hall of Fame. Although the highlight of his career may have come only a short time after turning pro, Chang was deemed worthy of inclusion along with some other very prestigious company. At only seventeen years old, Chang became the first American male to win the French Open singles title in thirty-four years setting a record for his performance as a youth. The Roland Garros victory would ultimately be the high-point of his career however and remain the only major title won by Chang throughout his sixteen year career. Just the same the player remained a considerable force throughout his time as a tennis professional making waves through a notable presence in the US Open, US Davis Cup, French Finale and the Australian Open where he was a finalist in 1996 and a semifinalist in 1995 and ’97. Chang was renowned for his seemingly infinite energy, quickness on the court and a powerful, two-handed backhand. The International Tennis Hall of Fame hosts 207 inductees from eighteen different nations and is known for its selective selection process since its 1954 foundation. Michael Chang was inaugurated alongside the late Gene Scott and Mark McCormack at last week’s ceremony. After a week full of speculation regarding Greg Norman’s possible chance at a victory, thirty-six year old Irishman, Padraig Harrington emerged as the winner of the British Open last Sunday. Harrington managed to beat out both Norman and Ian Poulter for a four-shot victory due to an excellent performance at the par 5s and finished with a 1-under 69 despite enormous winds. Even though Harrington was suffering from a sore right wrist (which stopped his practice after only nine swings at the Royal Birkdale earlier in the week) he managed to combat both disagreeable gusts and a late-game charge by Poulter. Greg Norman and Ian Poulter’s losses may have given Harrington the consecutive European record but it also meant the end of two other milestones in the making. Norman, fifty-three was set to become the oldest major champion and Poulter the first English champion since 1992 saw Nick Faldo take the British Open. Perhaps most surprising is the credit Harrington gives to his injury in winning the British Open and becoming the first European to take the title two years straight. The Irishman credited his sore wrist as the reason he was able to relax and lower his personal expectations which eventually led to the victory. After injuring her left knee and attempting to play through the strain, Serena Williams has decided to pull out of the Bank of the West Classic semifinals. Her decision was reached on Saturday which makes Williams the third singles player from the American woman’s Olympic tennis team to sustain a knee injury. During her match against Aleksandra Wozniak, Williams was forced to retire after trailing desperately behind. Despite determination to play out the rest of the match with a heavily taped knee it would appear that the pain was too much for the determined player to bear. After stretching for a backhand at the beginning of the second and further provoking the injury Williams had to walk off court and forfeit the rest of the game. Wozniak is currently ranked 85th and will play in this Sunday’s final against the winner of a match between Ai Sugiyami and Marion Bartoli. Now with Serena Williams out for recovery she joins two other Olympic contenders with knee injuries; sister Venus and fellow professional singles contestant Lindsay Davenport. The debilitation stems from a 2003 surgery which forced Serena out of ten tournaments and later forced her back into the hospital in 2006. Hopefully the players’ injuries will be sufficiently improved to allow their showing for the US Olympic team in the Beijing games. Although Phil Mickelson is certainly no slouch on the links the absence of Tiger Woods at this year’s Royal Birkdale may provide just the opportunity he needs to win the competition and finally take the title. The Birkdale course marks the location where Mickelson made his amateur debut in 1991 and holds a special place in his heart. Tiger Woods is unable to play the game because of a knee surgery which leaves Mickelson as perhaps the top contender for the prestigious event. In spite of an unremarkable showing at the Scottish Open the golfer maintains that the three week break allowed him more than enough time to properly prepare for the Royal Birkdale. Mickelson reported that a chance to play the course and acclimatize to the British time zone has gone a long way toward adjusting his body and mind for the task at hand and he feels ready to take a real shot at the challenge. Of course only time will tell how well Mickelson is able to fare but punters and fans alike are putting a lot of faith into the player as he readies for Royal Birkdale. He has been working hard at preparing to counter the British oceanic breezes which have wreaked havoc on his game in the past and feels that the time has been well spent and should help ensure a solid performance. 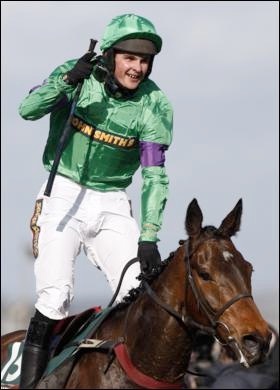 Our 2008 British Open betting partner is Paddy Power. They have some Fantastic Betting Offers for the 2008 British Open so be sure to give them a try. The number one Asian player, Liang Wen-Chong has his eyes set on making history as he becomes the first golfer from mainland China to enter the British Open. Aside from aspirations of personal success in the sport, Liang is also excited to increase national support from his country by becoming a golfer for the Chinese population to follow. Liang, twenty-nine years old, has only played one other links course during the Dunhill Cup (in St. Andrews, Scotland) but is preparing hard to adjust to the geography, climate and style of play during his practice time leading up to the event. At his previous two appearances during the US Masters and PGA tournaments last year Liang narrowly missed the halfway cut and is anxious to make bigger waves this time around. He should have some extra practice when playing at the Barclays Scottish Open this week however and this time alone could go a long way toward fully tempering his style toward British courses. The golfer currently enjoys the title of China’s first citizen to rank first in the Asian Tour 2007 but wants to go further with his talent in the sport. Liang is confident that his game has improved through playing against tough competitors and hopes that his abilities will be enough to truly compete in the British Open. The latest two articles to be published on this site cover the History of Sports Betting and also cover what Sports Betting is, and how to Make Money from Sports Betting. Sports Betting has been around for as long as people have played sports. Gambling has been traced back to the ancient Greeks who used to place wagers, or bets, on sporting events such as the Olympics. Wherever an element of risk has existed, then the human race has normally being in a position to gamble on the event for the greater increase in wealth. Check out the articles on Sports Betting and I hope they prove of use to you. 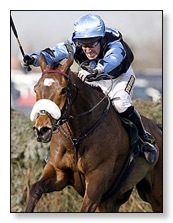 Congratulations to Silver Birch on winning the 2007 Grand National. ...The race took an age to get under way, with a false start and numerous re-sets before they were finally off and running. ...The grey The Outlier settled into the early lead but by the Canal Turn rank outsider Naunton Brook had hit the front with Ballycassidy in second and Bewleys Berry in third. ...As the race moved past two-thirds distance Slim Pickings, Liberthine and Simon all came into contention and by the third last there were eight horses in with a shout. ...As they approached The Elbow, Power's mount pulled a couple of lengths clear, with the fast-finishing McKelvey starting to get into contention. 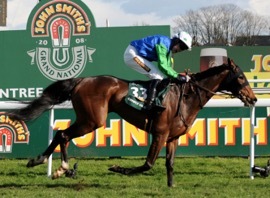 If Sports Betting is your thing, be sure to check out our Top 10 Internet Bookmakers here at www.findabet.co.uk. 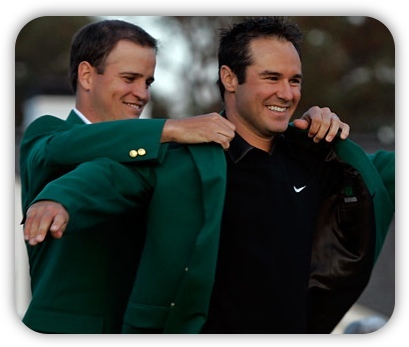 Congratulations to Zach Johnson on winning the 2007 US Masters. Well, I had my first online sports book bet, placed on Tiger Woods. I placed my bet part way through the third round as Tiger was back from the pack and the odds had slightly improved so I stood to make a fair return for my wager. I used Victor Chandler (VC Bet) to place the bet. I created an online account in a matter of minutes and then deposited my funds. Placing the bet was also very easy. I just navigated to the Golf section, the Masters had its own area and then I selected Tiger to win. Here is a summarized report from the Masters.org website. Please follow this link for the full report. Johnson, a 31-year-old Iowan, played the round of his life at Augusta National Golf Club.Challenged by some of the game’s greatest champions, among them four-time winner Tiger Woods and two-time U.S. Open champion Retief Goosen, Johnson relied on his skill, guile and heart to shoot a final round three-under-par 69 for a 289 total, and a two-shot victory in the Masters....In a final day that saw six golfers lead at some point, Johnson took the lead alone for the first time with a birdie at the 13th hole. He laid up his second shot on the par 5 hole, hit an approach in ideal position, and made the 10-foot putt....“I could tell from the fans what was going on. At the 14th hole, (Green) said we’ve got a 2-shot lead.”...Sabbatini said of Johnson’s round, “That’s phenomenal … under the circumstances, that’s just great golf.”“It just goes to prove that if you focus on what you’re doing and you don’t think ahead, you’re going to be fine,” Sabbatini said. Oh well, heres looking forward to the next golf competition for me to bet on!.